We’re fortunate to live in the most bike-friendly city in the country, which means it’s time to give public transport the flick and make better use of your calves and wallet on Melbourne’s ripper bike trails. Not only will you be up on the roads just working on your fitness (the city’s your witness), but it’s a great excuse to socialise with friends and get the hell away from those addictive screens. Here are the best bike trails in Melbourne. Kicking off in Eltham, the Main Yarra Trail is a pretty cruisy weekend slog for anyone looking to earn their eggs benny this weekend. Riders will be relieved to hear that the trail’s mostly flat and framed with a heap of leafy corridors. As you glide closer to the city, the trail becomes sealed and the option for fresh scones at Fairfield Boathouse arises...time for some Devonshire Tea, yeah? Get some lush parkland up in ya with the Merri Creek Trail. 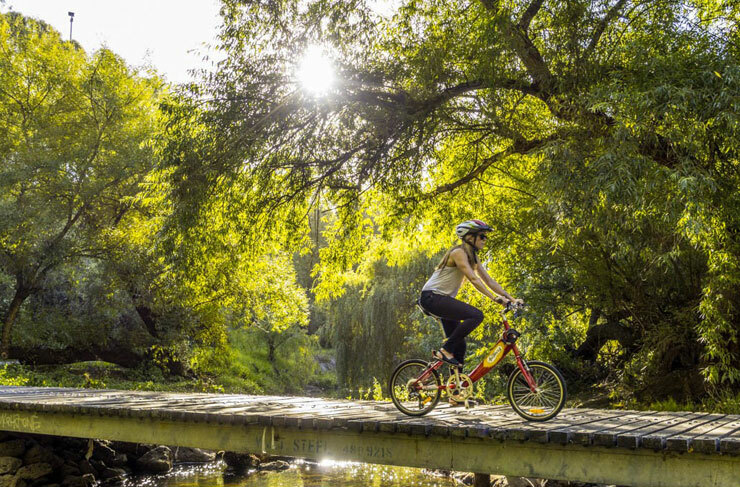 Kicking off from Dights Falls, you’ll pedal along Merri Creek and across the city to the Western Ring Road. This relatively cruisy ride only has a couple of challenging slopes but makes up for it in some ripper parkland views. If you own a bike, chances are you’ve rolled yourself along at least some sections of the Capital City Trail. This famous bike leg winds past a generous swag of Melbourne’s iconic landmarks, a healthy dose of great cafes and one deliciously sealed bike lane. If 30km sounds like enough to kill you, you can simply trim it down to a size that suits. Feel the salty sea breeze on your windburnt face with a trip along the Bay Trail. This 12km return ride kicks off at Luna Park in St Kilda and travels past all the ritzy yachts floating along the bay. The trail eventually winds up in beautiful Brighton where you can sink your toes in some lush sand, stuff your face with fish and chips and then hot foot it right back to St Kilda. Cafe tip: The Butler's Den. How about a slice of culture with your weekend bike ride? Notch another cruisey 10-k on your belt with the Banksia Park to Heid trail. This little puppy will take you all the way from Banksia Park to the Heide Sculpture Park. 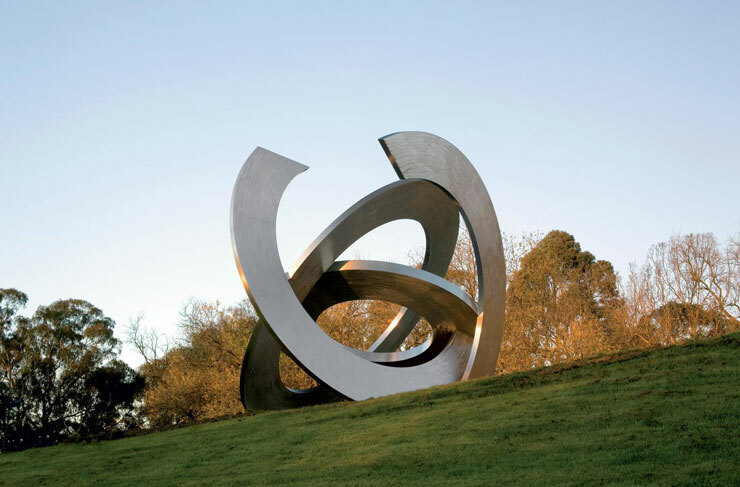 You’ll follow a trail of fruit trees and gums along the Yarra River and top it all of with a self-guided tour of some of Melbourne’s most famous contemporary sculptures. 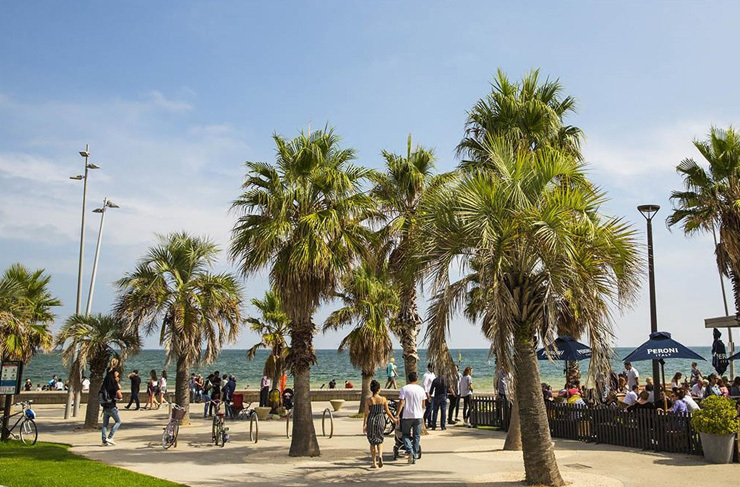 Want to venture further afield? Here are 22 of the best camping spot in Victoria.